개심사 오방오제위도와 사직사자도는 1676년에 화승 일호(一浩)가 단독으로 그린 것으로, 사찰에서 의식을 행할 때 도량장엄용으로 조성한 불화이다. 현존하는 도량장엄용 불화 가운데에서 조성연대가 가장 올라가는 작품으로 가치가 높다. 현재까지 알려진 오방오제위도와 사직사자도가 함께 전하는 예로는 양산 통도사, 안동 봉정사와 봉황사 등 극히 일부 사찰에서 전한다. 이 중 통도사본을 제외한 나머지 사찰의 작품들은 몇 폭이 빠진 상태로 완결성을 갖추고 있지 못하다. 완전하게 전하는 통도사본마저도 조성연대, 제작자 등에 대한 화기를 남기고 있지 않은 것에 비해 개심사 오방오제위도와 사직사자도는 조성연대와 제작과 관련하여 시주자, 증명·화원·화주 비구 등을 확인할 수 있는 화기가 남아 있다. 형태는 축(軸) 형식으로 되어 있는데, 5폭의 오제위도 중 중방, 동방, 남방지군도는 중앙부가 비단이고 그 양쪽에는 마를 덧대어 화폭을 마련하였다. 전체적으로 채색이 엷은 편으로, 묘선이 활달하며 상호나 상의 비례 등이 안정감 있게 표현되었다. 개심사 사자도(使者圖)는 소위 사직사자라 부르는 연직사자(年直使者), 월직사자(月直使者), 일직사자(日直使者), 시직사자(時直使者)의 4폭으로 구성되어 있다. 축(軸) 형식으로 되어 있어 불교의식 때 걸었던 의식용 그림으로 여겨지며, 각각의 화폭은 마(麻) 세 매를 이어 사용하였다. 개심사 사직사자도는 유려하고 세밀한 선과 색으로 인물의 형상을 생동적으로 잘 묘사하였으며, 특히 우아하고 세련된 색채감을 보여준다. 자세에서도 전령이라는 성격에 잘 부합하게 역동성인 동세가 잘 녹아 있다. 개심사 오방오제위도와 사직사자도는 임란 이후 크게 유행한 수륙재, 영산재 등에 사용된 불화로서 대형 의식불화 연구에도 중요한 자료로 평가된다. 또한 작품성도 비교적 우수하다. 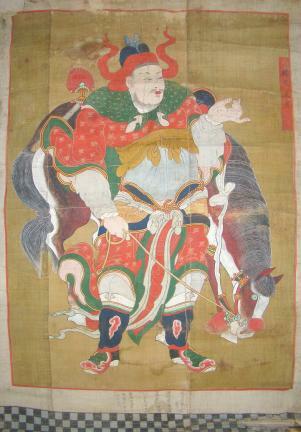 Obangojewido (Five Emperors of the Five Cardinal Directions) and Sajiksajado (Four Underworld Messengers) of Gaesimsa Temple in Seosan are two paintings by the monk painter Ilho. 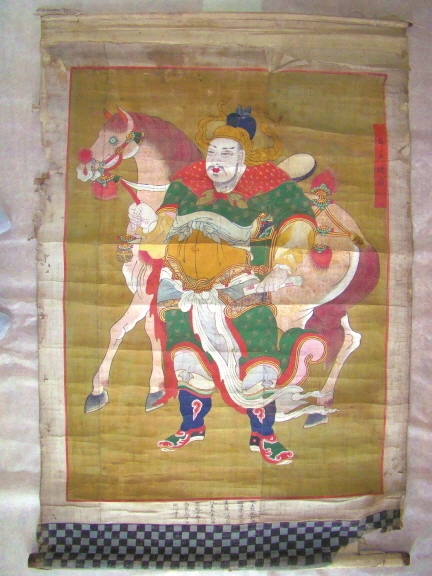 These two paintings used to be displayed during a Buddhist rite. 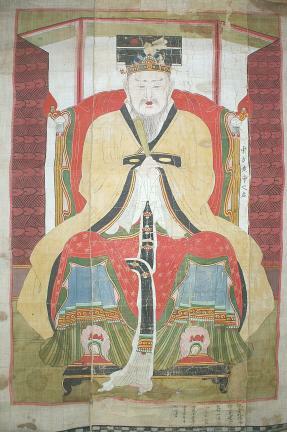 These paintings, among the oldest surviving Buddhist ritual paintings in Korea, are quite invaluable. There are only a handful of cases where an Obangojewido painting has survived together with a Sajiksajado painting as a set. 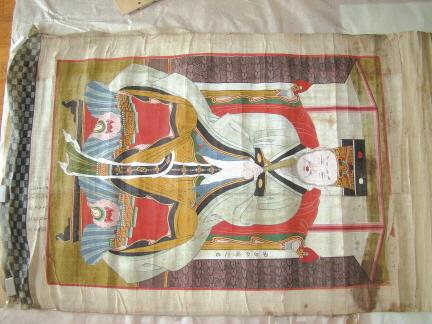 Tongdosa in Yangsan, and Bongjeongsa and Bonghwangsa in Andong are three only temples where such sets are found. 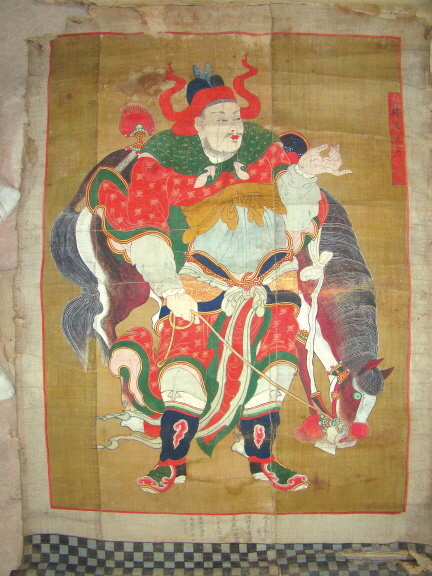 Of these, only the set housed in Tongdosa Temple is complete, with no missing panels. 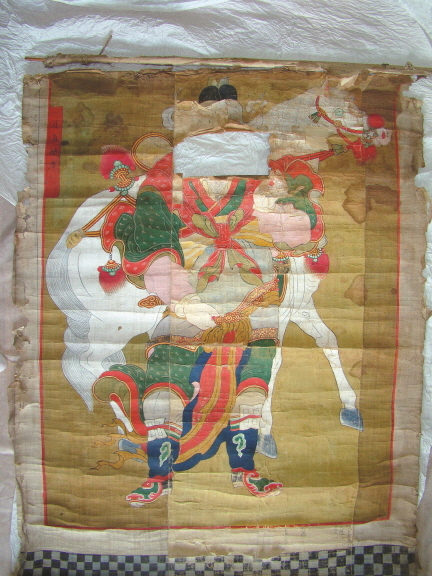 This set of Obangojewido and Sajiksajado, meanwhile, exceeds its counterpart in Tongdosa Temple in value, in that it is accompanied by a note providing its date and the names of its authors and other persons who participated in its creation in various capacities, including the patrons; which is not the case with the latter. 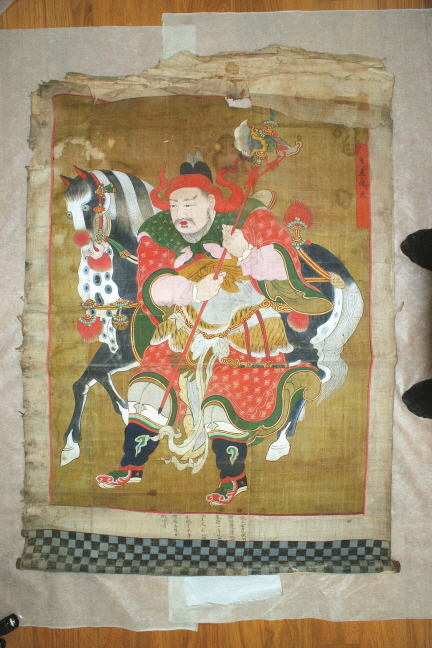 The paintings are mounted into a scroll. 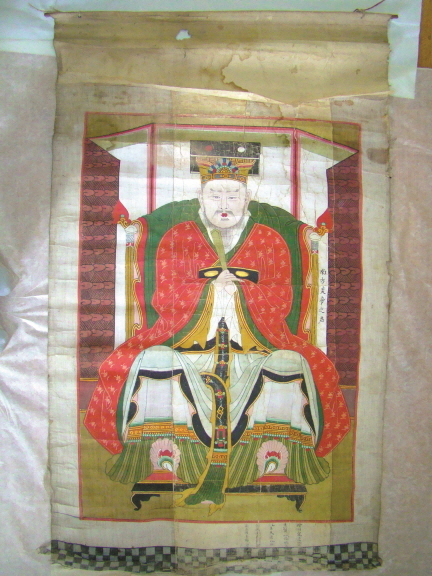 Three of the five panels of Obangojewido are painted on silk and are lined with a hemp backing. The colors are light overall, and the line drawing is highly skilled, while the figures are well proportioned both in their facial and bodily features. 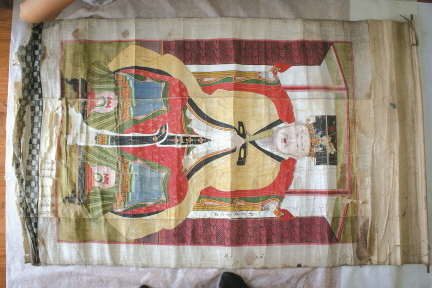 The Sajiksajado of Gaesimsa Temple, meanwhile, is made up of four panels, each representing one of the four underworld messengers; namely, Yeonjiksaja, Woljiksaja, Iljiksaja and Sijiksaja. 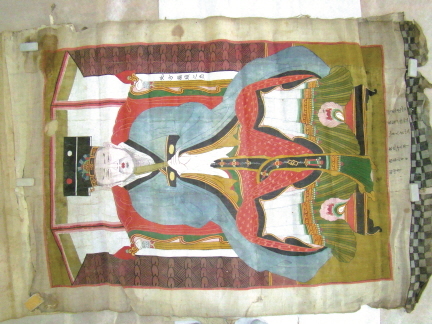 Also mounted into scrolls, this set of four paintings appears to have been displayed during a rite. Each panel is made with three interconnected hemp pieces. The figures in the Sajiksajado of Gaesimsa are depicted in a lively manner, in elegant and meticulous brushstrokes. The selection of colors is highly sophisticated as well. The figure, meanwhile, have a lithe allure, well matching their role as the messengers of the underworld. 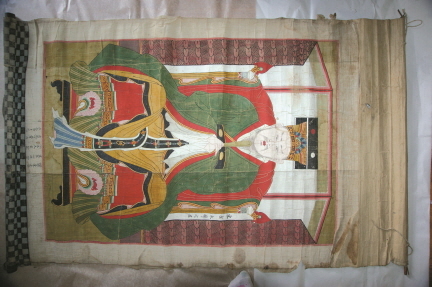 The Obangojewido and Sajiksajado of Gaesimsa Temple are paintings displayed during such Buddhist rites as Suryukjae and Yeongsanjae, popularly held in Joseon, in post-Imjin War years, and are of great significance for the understanding of large-size Buddhist paintings created for ritualistic purposes, during the Joseon period.